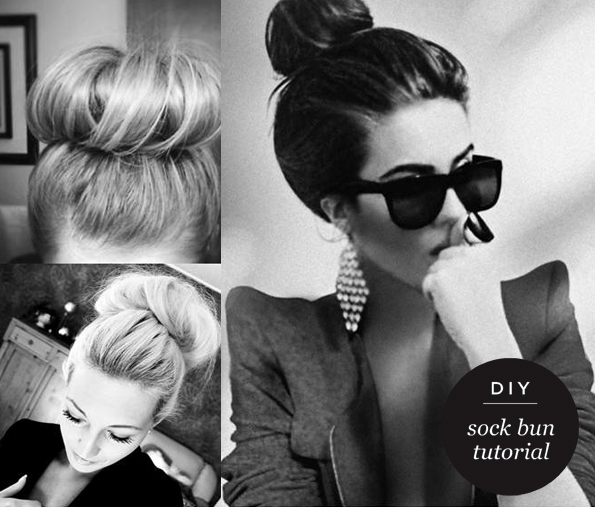 Found these super cute sock bun images from Ciao Beautiful and just had to share it with you all. Celebrities such as Lauren Conrad, Kim Kardashian, Reese Witherspoon, Jennifer Lopez and more have been rocking the sock bun. All you need is a sock with it's top cut off! Watch this awesome tutorial below to get the look!